I asked these two incredible humans to model for me. Sometimes it's good for me to get out of my head and shoot without the pressure of being paid (I love my clients but hey, it's a real thing) so I can try crazier creative stuff than what I normally would. Jordan and Dakota were both 100% down to shoot with me and adventure around downtown Louisville. Cool story: just a couple weeks after they shot with me, they got engaged. 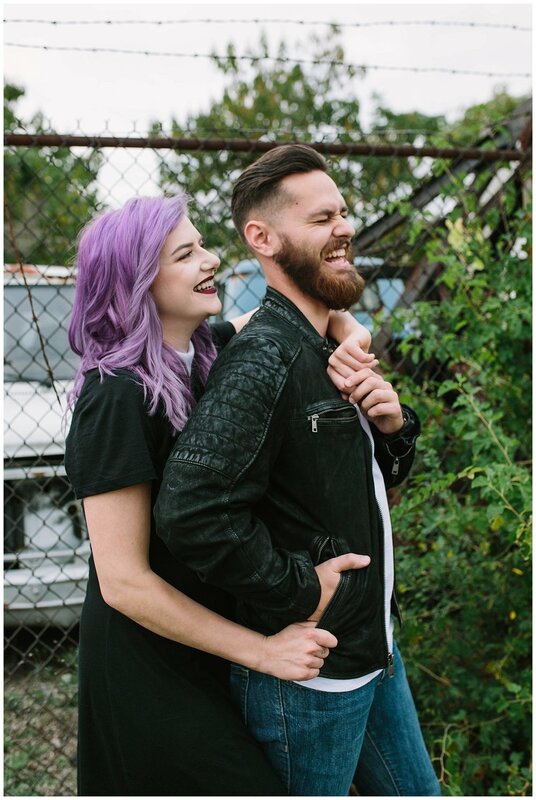 So we've decided these are their official engagement pics. And this may be off topic for photography blogging, but Jordan blogs over at "A State Of Ruin". She's inspired me a tonnn to use less plastic and less waste, to recycle what I do use. You should go give her blog a read or follow her on instagram -- she's got some very helpful tips! anyway, this couple is pretty damn great. enjoy!